Southside Johnny, credit John Cavanaugh. Newton, NJ – The party continues as Southside Johnny & The Asbury Jukes return to The Newton Theatre on Friday, November 6th at 8:00 pm. Tickets will go on sale to the general public on Friday, July 10th at 11:00 am. “There’s one thing I’ve always wanted to do,” Southside Johnny confesses, “and that is to sing.” And he has been doing just that for over a third of a century. 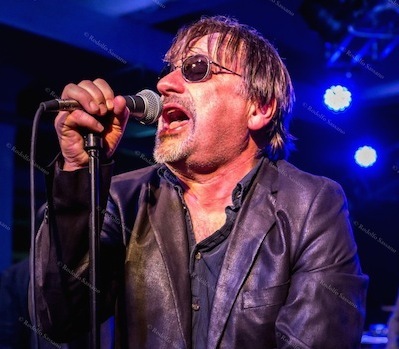 Southside Johnny and the Asbury Jukes first achieved prominence in the mid-1970s, emerging from the same New Jersey Shore music scene as his now legendary contemporary and friend Bruce Springsteen. Southside’s first three albums I Don’t Want to Go Home, This Time It’s For Real, and Hearts of Stone, were produced by band co-founder Steven Van Zandt (E Street Band, The Sopranos), and largely featured songs written by Van Zandt and/or Springsteen. The Van Zandt written I Don’t Want to Go Home became Southside’s signature song. With their classic blends of hard-core R&B and street level rock, molten grooves, soulful guitar licks and blistering horn section, Johnny and his Jukes continue to put their unique stamp on the Jersey Shore sound. In a business where success is defined as getting a second single and longevity measured in nano-seconds, just surviving for thirty-plus years is a rare accomplishment. But Johnny and the Jukes have not just survived, they have flourished with over thirty albums, thousands of live performances, a legion of dedicated fans, dozens of classic songs, a record, Hearts of Stone that Rolling Stone called one of the “top 100 albums of the 70’s and 80’s”. The story continues as the band releases its newest studio album, Pills and Ammo, full of new material that is already getting rave reviews from fans. While still tinged with the exuberant rhythm and blues feel that is the Jukes’ trademark, and loaded with the driving sound of the legendary Jukes horn section, this new CD has a sharper, guitar-oriented, rock and roll feel to it. A harder edge for harder times. But, as always, the sheer joy of making music is obvious throughout, placing the band in their classic, jubilant “let’s play all night” mood. And the band has never sounded better. Southside (so nicknamed because of his bent toward the Blues sounds of the Southside of Chicago) and his band, eventually called the Asbury Jukes, worked on growing their reputation as a dynamic live band through the late 60’s and early 70’s. “We built a big band, a home for lots of musicians, horns and all: sure we called it Southside Johnny and the Asbury Jukes, but it was really just a bunch of guys getting crazy on stage.” Then, in 1975, they signed with CBS/Epic Records, released the critically acclaimed I Don’t Want To Go Home, and a legend was begun. What followed has been over three decades of recording, touring and solidifying a place in rock ‘n roll history. In 1992, the band released the fan favorite Better Days album, which found Southside reunited with his original Asbury Park collaborators, Bruce Springsteen and Little Steven, and relative “newcomer,” Jon Bon Jovi. In the wake of the record industry turmoil that followed, Johnny took a hiatus from the studio, though he continued to work the road. Johnny spent eight years ruminating on life and his music until 1999, when he returned to recording on his own terms and on his own label, Leroy Records. The result, Messin’ With The Blues, was a return to making music for the sheer joy of it. Recharged and reenergized, Johnny and the Jukes have kept up the pace, full steam ahead the same way they always have, with no holds barred, good time rock and roll. “I’ll stack my group against any group out there. We enjoy playing, and the audience enjoys having a good time. Music is a shared emotion. 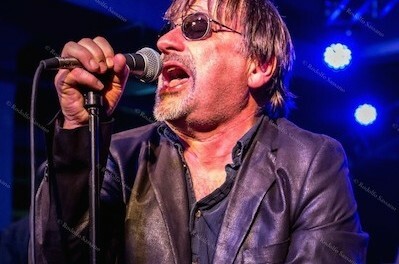 We distill it down to that.” When you distill Southside Johnny and the Asbury Jukes, you come down to thirty-five years of great music and good times.. and counting. 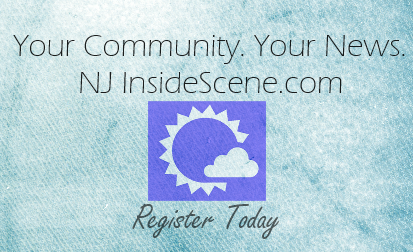 Tickets for Southside Johnny & The Asbury Jukes range from $39.00 to $64.00. Purchase tickets by visiting www.thenewtontheatre.com or contact the Box Office at 973-383-3700.